When Andrew was a baby, one of the constant issues we battled was his sensitive skin. He brought in rashes constantly, and always had eczema flare-ups all over his body. While we quickly found things that irritated his skin (harsh laundry detergents, sweating…) we had a difficult time finding bath products that worked for us. For awhile, the only one that helped smelled medicinal and I absolutely hated the smell of it. 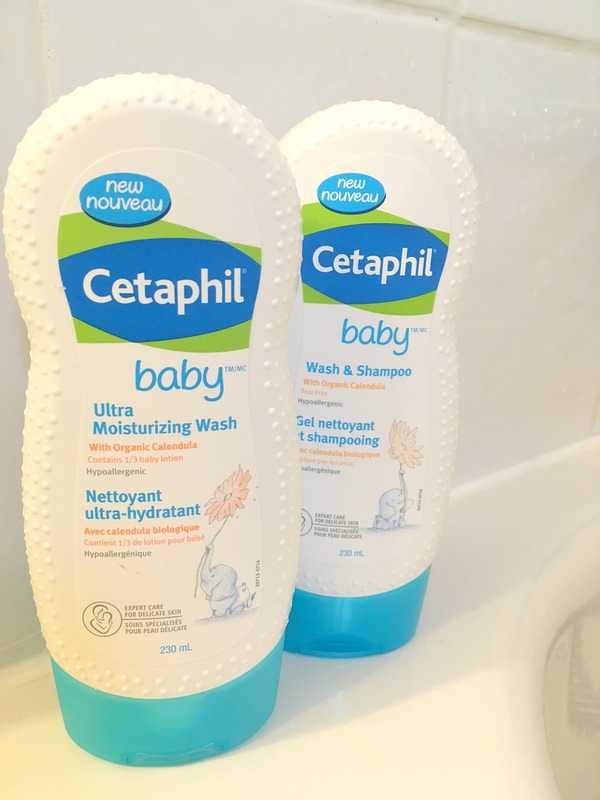 Luckily, one day our family doctor gave us a sample of Cetaphil to try on his skin and it was one of the first times that I used a product on him that worked that I didn’t hate the smell of. I was so relieved! One thing I do want to point out about this line is that in my eyes, it’s not just for babies. I feel that it does give a great clean even for the big kids – it’s gentle yet very effective. 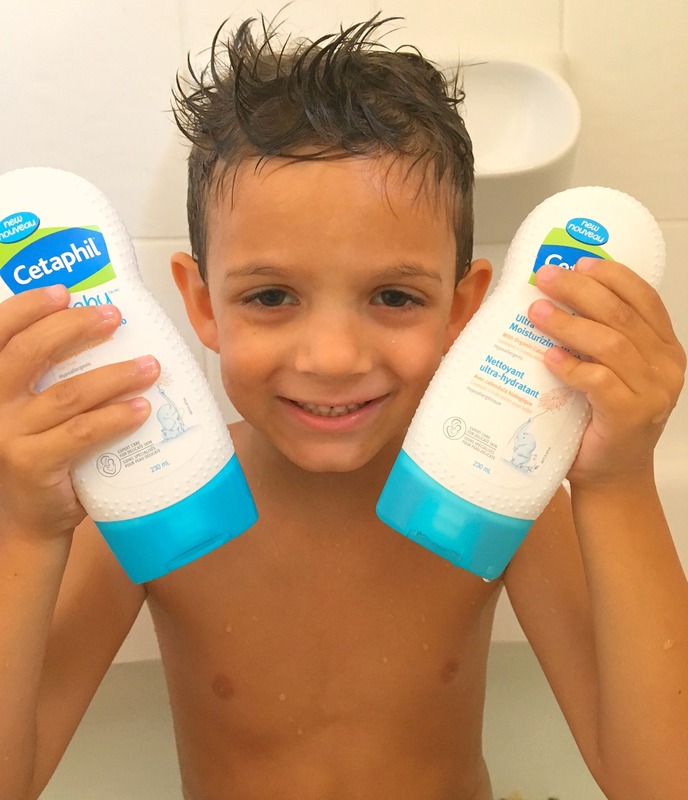 The Wash & Shampoo was the only product that I had used with Andrew, and the formula seems to be the same – nice clean, fresh smell and didn’t irritate either of my kids’ skin. It had a nice lather to it as well – I know it’s not an essential for a good wash, but I find it satisfying to get a nice rich lather! It’s a great all-in-one product for bathtime. One thing that I love about the bottles now is the anti-slip grip on the sides – makes it easier to grab when your hands are all soapy and wet. Why has this not been done before on all bath products?! The Daily Lotion was a great addition to our bath routine – it’s a lightweight lotion that is easy to rub in, absorbs quickly, and didn’t leave my hands greasy. 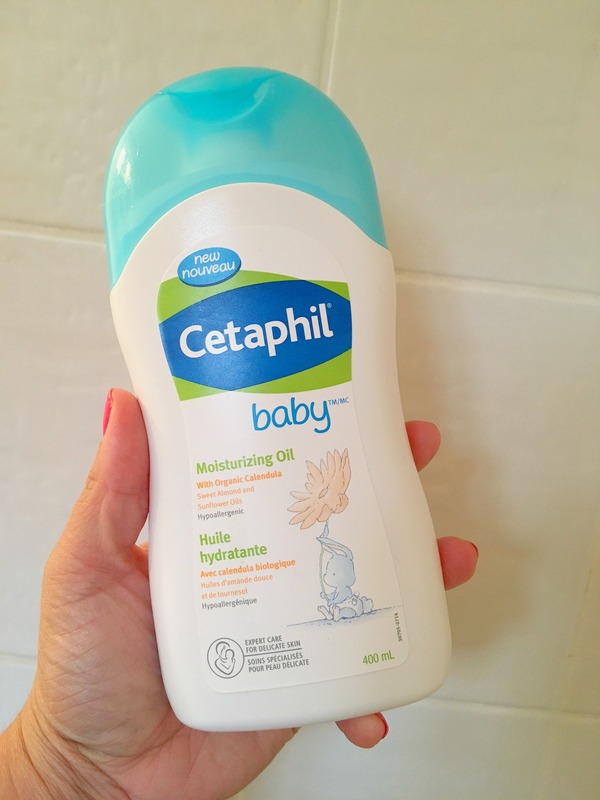 I found when the kids’ skin was really dry (after swimming or being in the sun all day), it wasn’t quite moisturizing enough…so on those days I tried the Moisturizing Oil. It was great, and SO moisturizing. It smells flipping delicious too. In the spirit of full-disclosure, it did leave my hands greasy after rubbing it into the kids’ skin, but I just did it in the bathroom and washed right after. It would be great for bedtime massages for wee ones as well. The last item we tried out was the Ultra Moisturizing Wash. I did get a good lather out of it (although not as much as the Wash & Shampoo), but the real bonus is that the kid didn’t really need to have lotion put on after using this wash, it did a pretty great job. My only tough decision now? Which product to use at bath time tonight! 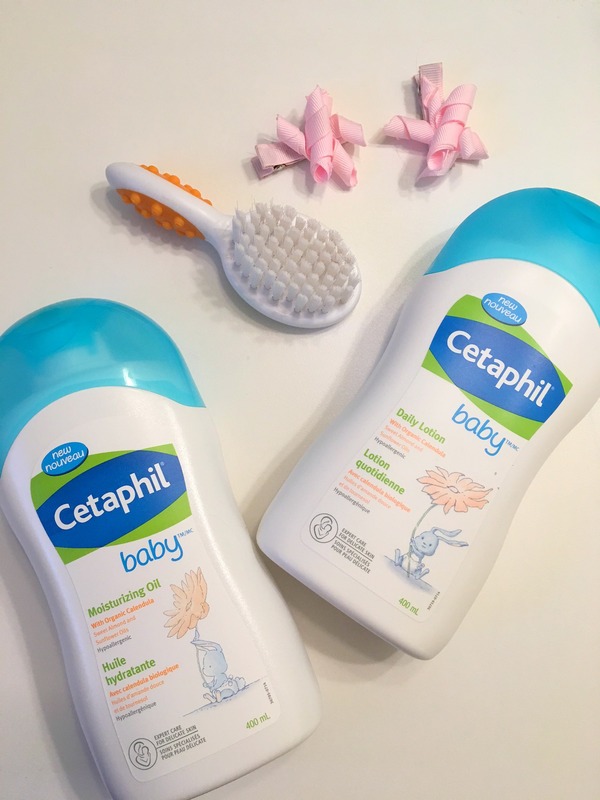 Now, I have good news for you – two lucky readers will have a chance to win all 4 products in the Cetaphil Baby collection, as well as a cute elephant rattle! Two winners means two ways to enter! So head to the Bawlers & Crawlers Facebook page and Instagram to enter! 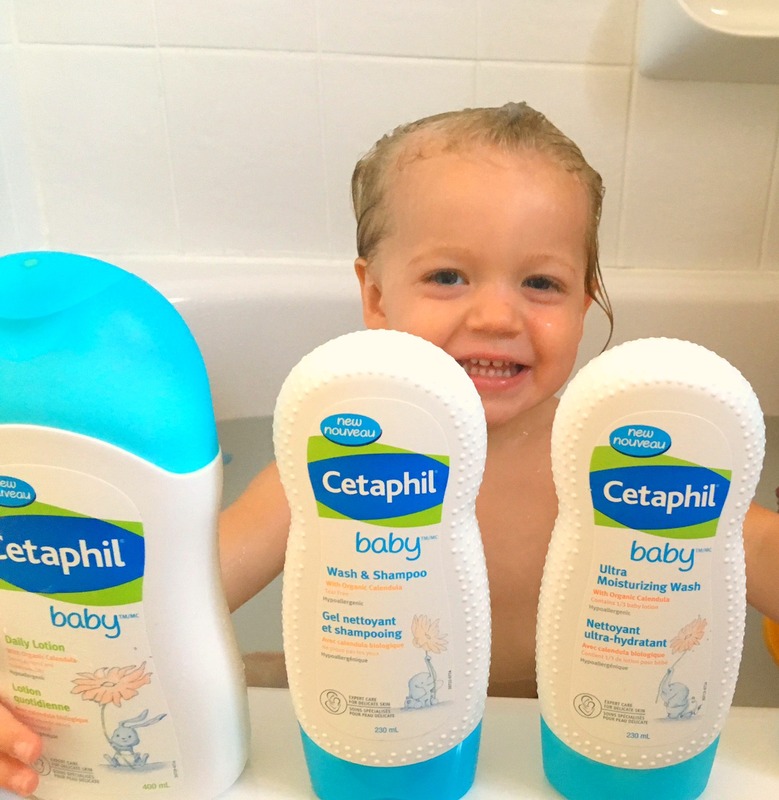 You can get more information about Cetaphil Baby products on their website, and connect with them on Facebook, Twitter, Instagram, and YouTube. You can even head here to get a coupon to try it out yourself! 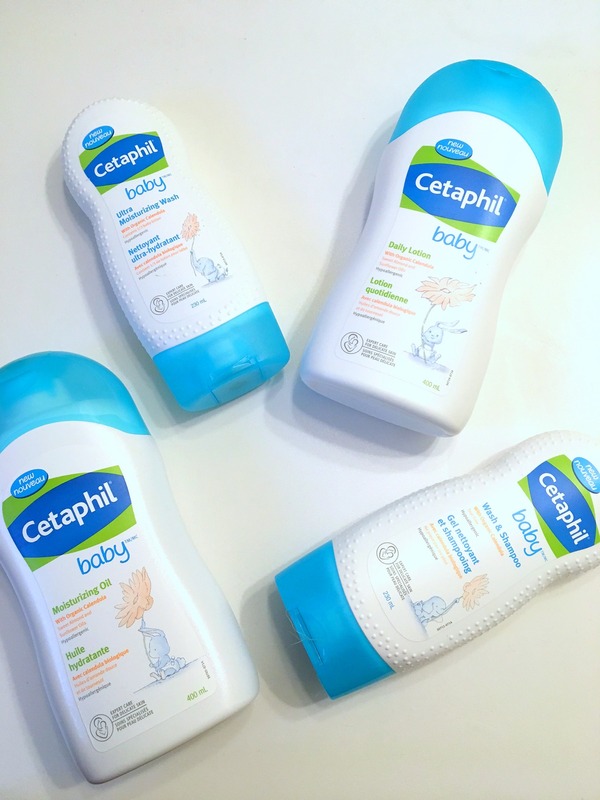 This entry was posted in Babies, Giveaways, Kids and tagged babies, cetaphil, eczema, product review, sensitive skin.